WELP we shall see how this turns out! INTW is still my favorite SNSD song so I am gonna give them a chance. Is it just me or one of the members really look like Jessica? No verdict.Not bad but nothing that catches my attention. Kind of the 2000s kpop sound. I need to see where they go from here. 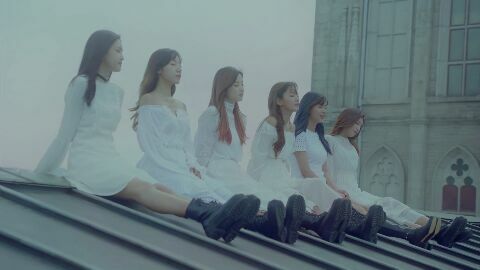 Glass Bead is definitely reminiscent of ITNW........they even included some of the dance steps used in live performances. Given the recent furor of "plagiarism" charges that seems to be going on in Korea, I wonder if SME is going to raise hell with them about the sound and dance similarities. I hope not. After all, imitation is the best form of flattery. Personally, I believe that they included similar dance steps as a recognition and salute to SNSD for their accomplishments - and acknowledgement that GFriend is hoping to become as successful by starting with a similar look and sound. The song isn't as good as ITNW, but the girls show a lot of potential just like SNSD did when they debuted. That knee to the face! G-friend covering one of my old jams. Yerin is everywhere, not that I am complaining though. Can summer 2015 never end? The full MV is finally released! Yerin and SinB are too cute! !